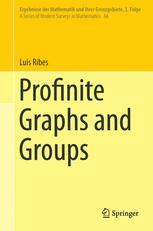 This chapter contains the definition of the profinite fundamental group of a profinite graph and its properties. To make this precise there is a study of free actions of profinite groups on profinite graphs and their quotients (called Galois coverings). This leads to the concept of universal Galois C -covering and C -simply connected profinite graphs. The concept of C -simple connectivity permits a characterization of freeness of a pro- C group in terms of Cayley graphs. It is also shown that the class of the profinite fundamental groups of profinite graphs is precisely the class of projective profinite groups (the closed subgroups of free profinite groups). The case of a finite graph Γ is considered separately and more explicitly; in this case, it is shown that the profinite fundamental group of Γ is the profinite completion of its fundamental group as an abstract graph; furthermore, it is proved that the universal covering graph of Γ (as an abstract graph) is densely embedded in its universal Galois C -covering graph (as a profinite graph).